Google Cardboard is compatible with Apple's iPhone lineup, but is best used with the larger screens of the iPhone 6 and iPhone 6 Plus. For the jumbo-sized iPhone 6 Plus, you'll need to own a version 2 of Google Cardboard, which is not as widely available as the original model. Your best bet is the I Am Cardboard Kit available from Amazon for around $25. It's the most widely known brand based on Google Cardboard, and it has version 2 models available in stock with Prime shipping at Amazon. For a slightly more affordable option, there's the Virtual Reality Viewer 3D VR, also based on Google Cardboard version 2. Unlike I Am Cardboard, this comes with adhesive foam to make the unit more comfortable, as well as a head strap to hold the assembly on your head. It should be noted that Google Cardboard is not intended to be used with a head strap, because the combination of inadequate screen resolution for VR as well as lag can cause dizziness and nausea. Google recommends that users use Cardboard by simply holding the unit up to their head with one hand. Google Cardboard version 2 models come with a dedicated button that taps the screen on your iPhone. Apps that take advantage of this can have simple input methods. For the more crafty among you, instructions to build your own Google Cardboard accessory are available for free from the search giant. 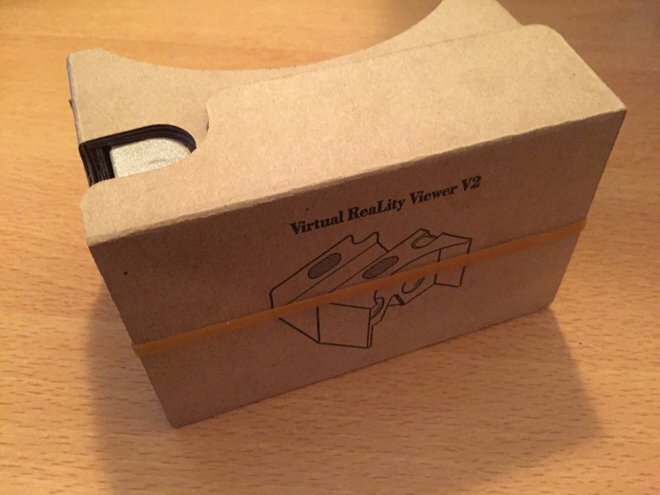 There's also an official Google Cardboard app for iOS that will get you started with some basic demos. Finally, we will again note that while this simple VR kit can be a lot of fun, it will also probably make you nauseous. You've been warned. Google Cardboard is meant to allow developers and users sample virtual reality in an affordable way, so most of the first apps aren't quite as polished as a top-tier App Store download. The exception, however, is Vrse. This free download features a handful of videos within it that users can download and watch on their iPhone with a VR headset. The videos are interesting, funny, and even stunning. 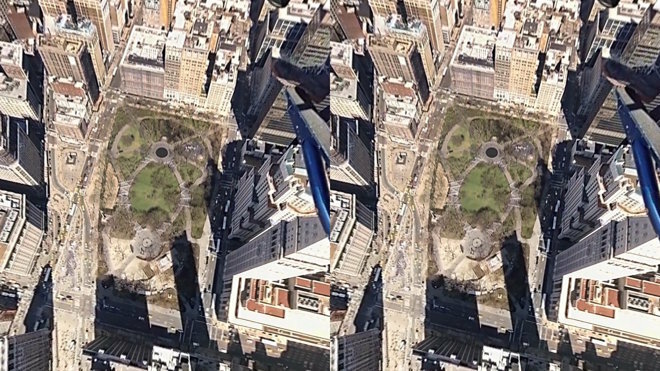 In one 360-degree film from The New York Times, users can watch as an artist paints a massive image in front of New York City's Flatiron Building. Then take to the skies — hanging off the edge of a helicopter — and look down at his creation from astonishing heights. There's also a 360-degree recording of Jerry Seinfeld's monologue from Saturday Night Live's 40th anniversary special. As the comedian talks, you can see celebrity audience members who are part of the opening bit, sitting and waiting for their turn in the scene. Vrse also spotlights the limitations of Google Cardboard paired with an iPhone — the screen resolution is too low, and the responsiveness isn't quite enough. But if you want to be wowed by VR on your iPhone, this is the place to start. These non-interactive demos seat you in creepy rooms where things get very dark, very quickly. Both experiences are best had with headphones. 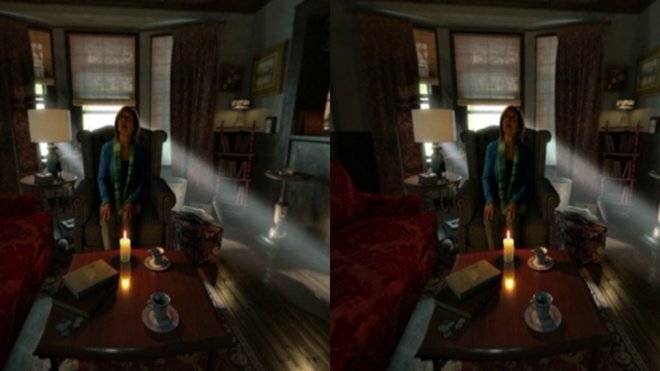 In Insidious VR, you're in a room with a woman who's talking directly at you before the haunted house-style surprises begin. Another creepy title is Sisters: A Virtual Reality Ghost Story, a similar experience where creepy imagery combined with jump scares makes for an entertaining experience. Both of these apps are essentially quick tech demos, but the price is right at free. Definitely worth a download and a try. 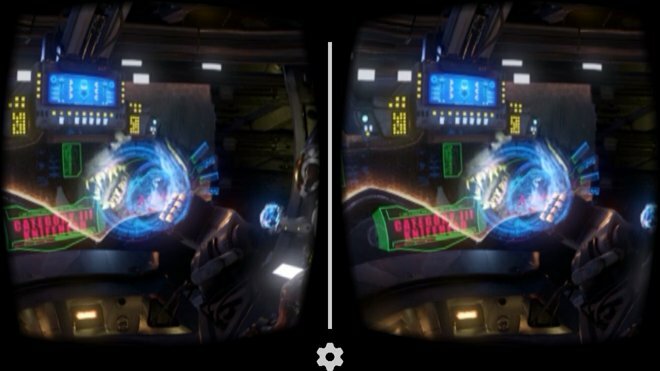 More of a sign of things to come in VR than anything else, the free Legendary Pictures VR app is highlighted by a scene ripped straight from the blockbuster Guillermo Del Toro film "Pacific Rim." A virtual reality game based on the movie is currently in the works. Until then, you can tide yourself over with this non-interactive cinematic experience, featuring an attack on a jaeger robot from a giant kaiju monster. The app also features experiences from the upcoming films "Crimson Peak" and "Warcraft." 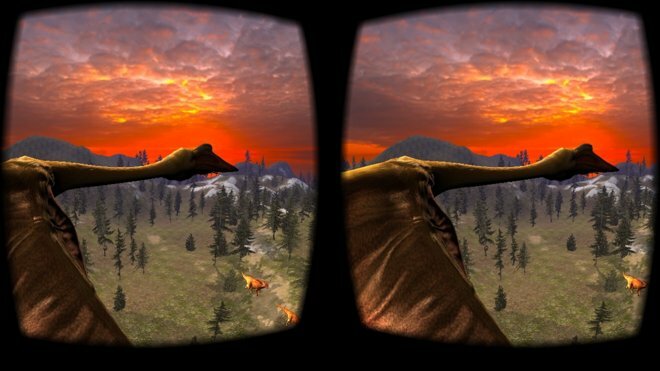 In DinoTrek VR Experience, you can look around you in 360 degrees and see dinosaurs roaming the earth. The graphics of running reptiles are decent enough for a free app that shows some of the possibilities enabled with virtual reality in virtual worlds. In your trip to the age of dinosaurs, you'll see different species doing a variety of activities, from simply grazing to fighting and chasing one another. The opening scene tags along with smaller dinosaurs fleeing a chasing tyrannosaurus rex. If you're looking for a little more interaction with your Google Cardboard setup, try out Zombie Shooter VR. It's an on-rails shooter where you simply look at your enemies and the game will automatically shoot at them. The gameplay is similar, but the setting is very different, in the $1.99 title VR Tank Training. Here again, it's a controller-free interface, where you simply need to look to shoot. 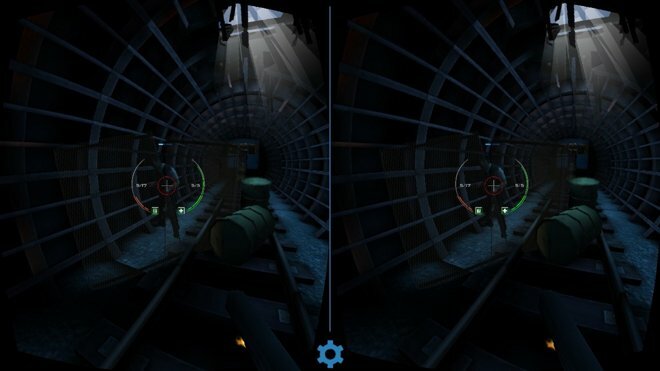 Another on-rails automated shooter with some style is InMind VR. In this free title, you're microscopic and helping to repair a brain with neurons causing mental disorder. Finally, if you have an iOS gaming controller, download the free "apocalyptic action game" OccupationVR. The open-world title is basic, but it gives an idea of how the combination of a VR helmet and a physical controller could lead to more immersive titles with physical input. Finally, if you want to watch your own 3D or virtual reality style movies, there are a pair of apps you can try. 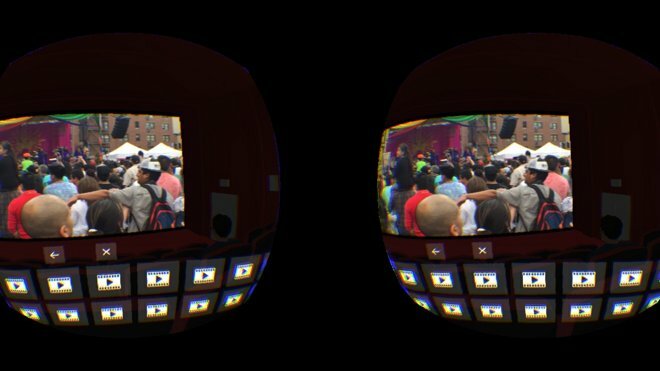 Mobile VR Station will take standard moves and display them on a screen, or allow you to watch more immersive titles 3D titles with a larger field of view. There's also the Homido 360 VR Player app, which offers similar capabilities. Both are free downloads. Zeiss also makes a virtual cinema app called VR ONE Cinema that will take any video from your Camera Roll or your Videos app, and project it onto a virtual movie theater screen. This basic 3D demo features stadium seating and virtual moviegoers, giving you a sense of actually going to the movies for a matinee.